Ranji Trophy holders, Vidarbha, are back in action as they face a formidable Mumbai side buoyed by a morale-boosting win over defending champions, Delhi, on a hot Monday afternoon. Without the services of Dhawal Kulkarni and Ajinkya Rahane, Mumbai were still able to beat Delhi to keep their chances of making it to the finals intact while Vidarbha have been sensational with all of their players performing in bits and pieces. No changes are expected from Vidarbha after a brilliant win over Uttar Pradesh on Sunday. The bowlers were faultless as the likes of Ravi Jangid and Akshay Wakhare led a revival after Upendra Yadav's fiery start. Atharwa Taide and Jitesh Patel have been consistently putting out good performances at the top of the order and should hold the key against a good bowling unit. Possible XI: Taide, Jitesh(WK), Shalabh, Karnewar, Wankhede, Satish(C), Rathod, Jangid, Umesh, Wakhare and Wagh. With Ajinkya Rahane ruled out, Jay Bista is set to continue at the top of the order alongside Prithvi Shaw, who is yet to make a mark in the tournament. Shreyas Iyer and Suryakumar Yadav have been pivotal to Mumbai's success and will be the wickets the Vidarbha bowlers will be keen to get. Tushar Deshpande is in good wicket-taking form and along with Thakur and Mulani, will be crucial to their fortunes. Possible XI: Shaw, Bista, Iyer(C), Surya, Dias, Ranjane, Kerkar(WK), Parkar, Thakur, Mulani and Deshpande. A competitive match is in store for us, with the pitch offering something for everyone. Pacers should enjoy the conditions with the new ball while spin could play a critical role in restricting either side to an under-par total. Batters will need to apply themselves and bat for longer periods if they are to succeed. Wicket-keeper: Jitesh Patel has been in good touch, with a string of cameos to his name in recent matches. 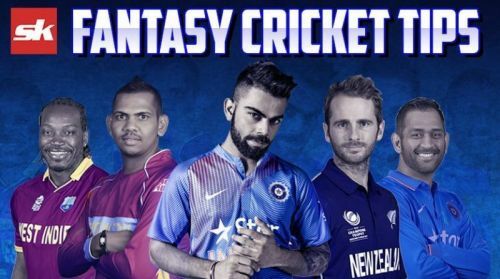 He is the preferred keeper in the fantasy team with Kerkar's batting position proving to be a major put off. Batsmen: Two of Prithvi Shaw, Shreyas Iyer and Suryakumar Yadav can be picked, with their ability second to none in the match. Along with them, the likes of Shalabh Srivastava and Apoorv Wankhede are viable options to choose as well. All-rounders: Ravi Jangid put in an impressive performance on Sunday and should be backed to repeat his heroics against Mumbai as well. Atharwa Taide and Shubham Ranjane are more than able options to have in the side with their skill-set bound to bring in valuable points. Bowlers: Umesh Yadav and Shardul Thakur are must-haves in the team while the likes of Tushar Deshpande, Shams Mulani and Akshay Wakhare are all viable options to have in the side. Deshpande took four wickets in the previous game against Delhi and should be backed to pick a wicket or two on Monday. Captain: Prithvi Shaw should be backed to make an impression on Saturday while the likes of Atharwa Taide and Shreyas Iyer are also more than capable options for captaincy.